Abstract: Cholangiocarcinoma (CCA) is a tumor with increasing prevalence around the world. The prevalence of CCA is highest in East Asia and most significantly in the countries through which the Mekong River flows, owing to the presence of liver flukes, which are consumed in raw fish dishes. Outside Asia, the causes of bile duct cancers for the most part are unknown. In this review, we assess the current state of knowledge in both fluke-associated and sporadic CCA, from etiological, diagnostic, and treatment perspectives. Figure 1 Locations of CCA in the biliary tree. Note: iCCAs arise within the hepatic biliary ducts, perihilar in the bile duct bifurcation, and distal tumors arise anywhere along the common biliary duct outside the liver. Abbreviations: CCA, cholangiocarcinoma; iCCA, intrahepatic CCA. Figure 2 Estimated global CCA incidence. Notes: World map showing CCA incidence per 100,000 (left), and incidence of CCA and prevalence of Opisthorchis viverrini in Thailand from 1990 to 2001 (right). %OV=Opisthorchis viverrini prevalence. Adapted from Bragazzi M, Cardinale V, Carpino G. Cholangiocarcinoma: epidemiology and risk factors. Transl Gastrointest Cancer. 2012;1(1):21–32 with permission from AME Publishing Company6 (left) and Data from Keiser and Utzinger7 (right). The ﬂuke life cycle is complex, involving two intermediate hosts (snail to ﬁsh) and several morphological changes (Figure 3). 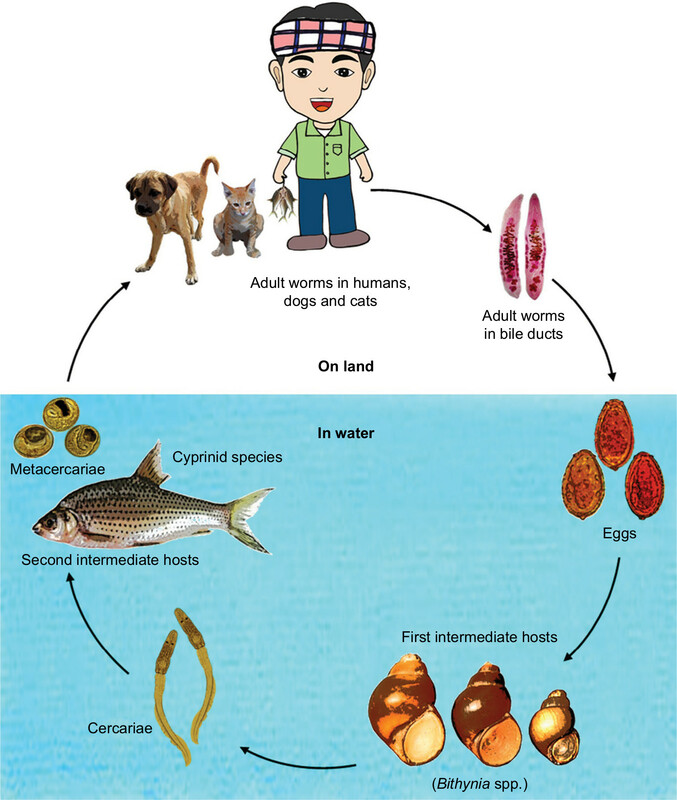 After the ingestion of fish containing viable metacercariae, infected humans excrete the eggs produced by the mature adult worms in their feces. If they reach fresh water, the eggs are ingested by freshwater snails and the larva (or miracidia) hatch in the digestive tract of these snails. The infected snails shed thousands of cercariae into the water, which penetrate the skin between the scales of freshwater fish, and encyst, forming metacercariae. In 21 days they become infective with metacercariae, and when ingested by humans, they excyst in the duodenum and ascend to the bile duct via the ampulla of Vater. Using their two suckers and body contraction, the metacercariae migrate further into the smaller, proximal bile ducts where they become mature worms within a month and are able to sexually reproduce. 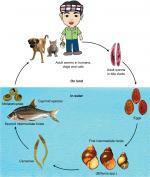 Figure 3 Liver fluke life cycle. Chronic host inflammatory responses may persist even after the eradication of the liver ﬂukes through the eggs they produce, which can remain entrapped in the periductal tissue causing granulomatous inﬂammation.8,20 Therefore, comprehensive assessment of reinfection rate and eradication potential is difficult to establish. The mean age at diagnosis with PSC is 40 years, with a median life expectancy of 9–12 years from diagnosis. PSC is associated with portal hypertension, cirrhosis, and hepatobiliary and colorectal cancer. Progression to CCA is unrelated to the duration of the inflammation. Other hepatic diseases associated with CCA include alcoholic liver disease, cirrhosis, and cholangitis with odds ratios of 19.22, 75.9, and 6.3, respectively, reported in a Danish cohort.28 CCA risk in viral hepatitis was recently investigated in a Korean study with n=276 CCA cases, hepatitis B virus significantly increasing iCCA risk with an odds ratio of 4.1. The risk is greater in the presence of diabetes (odds ratio=12.2), and diabetes independently was associated with both intra- and extrahepatic biliary carcinoma.34 Obesity was unrelated to CCA risk in both the Korean and Danish cohorts. 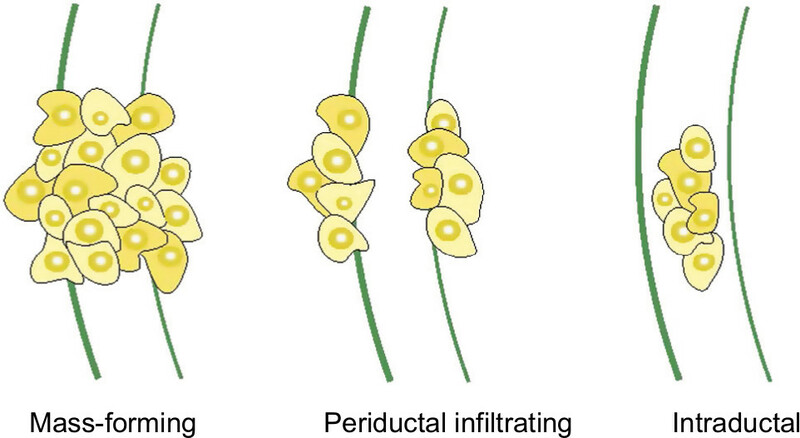 Figure 4 Morphologic classification of CCA. Note: The gross appearance of CCA tumors can present with three patterns of growth: mass-forming, periductal infiltrating, and intraductal. CCA carcinogenesis from hepatocytes was observed incidentally via the activation of the oncogenes, NOTCH and AKT, in vivo. Evidence from hepatocyte fate-tracing experiments, which enables tracking of the fate of cells in living mice, showed that activated NOTCH signaling, in combination with AKT overexpression, promotes tumorigenesis in the early stages of intrahepatic bile duct carcinomas.38 NOTCH signaling is also known to play an important role during the embryonic development of liver architecture, including cholangiocyte differentiation and biliary duct development. Endoscopic retrograde cholangiopancreatography (ERCP) and percutaneous transhepatic cholangiography are more invasive, but they offer the possibility of therapeutic intervention, as well as diagnostic assessment. They allow sampling of strictures for brush cytology or tissue biopsy, and stent insertion to relieve biliary obstruction. These sampling methods are highly specific (100%), but they have a low sensitivity(46%–73%). Cytology is positive in <50% of CCA cases. Thus, negative results do not exclude malignancy. Biopsy, in addition to cytology, can enhance positive findings to 40%–70%, but tissue is not always easy to obtain, owing to the scirrhous nature of desmoplastic tumors and risk of tumor seeding.36 Once CCA is confirmed, comprehensive staging must be carried out to screen for metastatic disease. The above diagnostic techniques are complementary and selection is dependent on the clinical needs of the individual. Multiple imaging techniques might be necessary for surgical assessment of resectability. The prognosis for inoperable Thai patients with bile duct cancer receiving palliative chemotherapy is poor. Gemcitabine chemotherapy has a median survival of 10 months.49 Moreover, resection margins are important prognostic factors, and complete surgical resection at an early stage is the only treatment that significantly improves patient survival. Molecular therapies for solid biliary tumors are generally complex to develop, owing to their therapeutic resistance, and anatomical, histological, and phenotypic heterogeneity.2 Elucidation of the molecular mechanisms and pathways underlying cholangiocarcinogenesis may expedite development of personalized therapy for patients based on their particular tumor phenotype. Screening strategies for CCA vary according to the disease etiology, where it moves from small-scale, high-risk patient surveillance, such as for PSC patients, to large, community-based screening programs as in the O. viverrini prevention campaign in Thailand. Repeated infection is likely to occur after the administration of praziquantel and might explain the persistent high infection rate. In an animal model, repeated infection of hamsters with O. viverrini exhibited an inflammatory response and showed higher levels of parasite-specific antibody, which positively correlated with a greater degree of fibrosis.55 About 89% of the CASCAP cohort had previously eaten raw or fermented fish,54 indicating a poor response to the educational campaigns against raw fish consumption among rural communities. Moreover, the vast majority are farmers (79.9%), and raw fish based-diet is embedded in their cultural identity. The magnitude of the problem is greater than telling people to “stop eating raw fish”; it has social, political, and environmental implications. The absence of prognostic techniques limits therapeutic options. Therefore, there is an urgent unmet demand for the development of biomarkers that hold clinical potential for timely diagnosis of the CCA in Thailand and neighboring countries. CCA incidence in Thailand appears to be increasing, not decreasing, and even if the worm is eradicated, it will take 20–30 years to achieve CCA-free population. Hence, those with history of parasitosis are still at risk of developing malignant biliary tumors. The mortality from CCA remains equal to the disease incidence. New biomarkers for screening, diagnosis, staging, and prognosis would be crucial in the management of CCA, as current methods are ineffective in detecting small tumors. To date, several serum markers, including the clinically available iCA19–9 and CEA, and potential markers such as CA242, mucin glycoproteins, and several cytokines have been reported to be adequate diagnostic and prognostic markers for CCA.58 Yet, the diagnostic accuracy of such markers is not sufficient for a timely and reliable diagnosis of CCA. Such methodology may have the potential to provide a new diagnostic window to CCA. Furthermore, metabolic phenotyping of CCA may shed light on understanding environmental interactions underpinning CCA genesis and may lead to the discovery of diagnostic markers in biofluids. The authors were funded by grants from the Welcome Trust ISSF Fund at Imperial College, London, and AMMF – the Cholangiocarcinoma Charity (Stansted, Essex, UK). All authors acknowledge the support of the United Kingdom National Institute for Health Research Biomedical Research Centre at Imperial College, London, for infrastructure support. MA was funded by the StratiGrad PhD programme at Imperial College, London. The authors report no other conflicts of interest in this work. Shaib Y, El-Serag HB. The epidemiology of cholangiocarcinoma. Semin Liver Dis. 2004;24(2):115–125. Razumilava N, Gores G. “Cholangiocarcinoma.”. The Lancet. 2014;383(9935):2168–2179. Banales JM, Cardinale V, Carpino G, et al. Expert consensus document: cholangiocarcinoma: current knowledge and future perspectives consensus statement from the European Network for the Study of Cholangiocarcinoma (ENS-CCA). Nat Rev Gastroenterol Hepatol. 2016;13(5):261–280. NCIN. 2015. National Cancer Intelligence Network: rare and less common cancers, incidence and mortality in England, 2010 to 2013. Technical report, Public Health England. Zabron A, Edwards RJ, Khan SA. The challenge of cholangiocarcinoma: dissecting the molecular mechanisms of an insidious cancer. Dis Model Mech. 2013;6(2):281–292. Bragazzi M, Cardinale V, Carpino G. Cholangiocarcinoma: epidemiology and risk factors. Transl Gastrointest Cancer. 2012;1(1):21–32. Keiser J, Utzinger J. Emerging foodborne trematodiasis. Emerg Infect Dis. 2005;11(10):1507–1514. Sripa B, Kaewkes S, Sithithaworn P, et al. Liver fluke induces cholangiocarcinoma. PLoS Med. 2007;4(7):e201. Leiper R. Notes of the occurrence of parasites presumably rare in man. J R Army Med Corps. 1915;24(6):569–575. IARC. 1994. Infection with liver ﬂukes (Opisthorchis viverrini, Opisthorchis felineus and Clonorchis sinensis.). Technical report, Public Health England. Vichasri S, Viyanant V, Upatham ES. Opisthorchis viverrini: intensity and rates of infection in cyprinoid fish from an endemic focus in Northeast Thailand. Southeast Asian J Trop Med Public Health. 1982;13(1):138–141. Ziegler AD, Petney TN, Grundy-Warr C, et al. Dams and disease triggers on the lower Mekong river. PLoS Negl Trop Dis. 2013;7(6): e2166. Cogels O. 2004. Water resources and poverty alleviation in the lower Mekong Basin. Presented at: IUCN World Conservation Congress; November 18, 2004; Bangkok, Thailand. Sithithaworn P, Andrews RH, Nguyen VD, et al. The current status of opisthorchiasis and clonorchiasis in the Mekong Basin. Parasitol Int. 2012;61(1):10–16. Sripa B, Pairojkul C. Cholangiocarcinoma: lessons from Thailand. Curr Opin Gastroenterol. 2008;24(3):349–356. Miyamoto K, Kirinoki M, Matsuda H, et al. Field survey focused on Opisthorchis viverrini infection in five provinces of Cambodia. Parasitol Int. 2014;63(2):366–373. IARC 2012. Monographs on the evaluation of carcinogenic risks to humans (Opisthorchis viverrini and Clonorchis sinensis). Technical report, Public Health England. Kaewpitoon N, Kaewpitoon SJ, Pengsaa P, Sripa B. Opisthorchis viverrini: the carcinogenic human liver fluke. World J Gastroenterol. 2008;14(5):666–674. Mairiang E, Haswell-Elkins MR, Mairiang P, Sithithaworn P, Elkins DB. Reversal of biliary tract abnormalities associated with Opisthorchis viverrini infection following praziquantel treatment. Trans R Soc Trop Med Hyg. 1993;87(2):194–197. Saengsawang P, Promthet S, Bradshaw P. Reinfection by Opisthorchis viverrini after treatment with praziquantel. Asian Pac J Cancer Prev. 2016;17(2):857–862. Honjo S, Srivatanakul P, Sriplung H, et al. Genetic and environmental determinants of risk for cholangiocarcinoma via Opisthorchis viverrini in a densely infested area in Nakhon Phanom, northeast Thailand. Int J Cancer. 2005;117(5):854–860. Karlsen TH, Boberg KM. Update on primary sclerosing cholangitis. J Hepatol. 2013;59(3):571–582. Boonstra K, Beuers U, Ponsioen CY. Epidemiology of primary sclerosing cholangitis and primary biliary cirrhosis: a systematic review. J Hepatol. 2012;56(5):1181–1188. Lindor KD, Kowdley KV, Harrison ME, American College of Gastroenterology. ACG clinical guideline: primary sclerosing cholangitis. Am J Gastroenterol. 2015;110(5):646–659. Tyson GL, El-Serag HB. Risk factors for cholangiocarcinoma. Hepatology. 2011;54(1):173–184. Kim HJ, Kim JS, Joo MK, et al. Hepatolithiasis and intrahepatic cholangiocarcinoma: a review. World J Gastroenterol. 2015;21(48):13418–13431. Chen MF. Peripheral cholangiocarcinoma (cholangiocellular carcinoma): clinical features, diagnosis and treatment. J Gastroenterol Hepatol. 1999;14(12):1144–1149. Welzel TM, Mellemkjaer L, Gloria G, et al. Risk factors for intrahepatic cholangiocarcinoma in a low-risk population: a nationwide case-control study. Int J Cancer. 2007;120(3):638–641. Söreide K, Körner H, Havnen J, Söreide JA. Bile duct cysts in adults. Br J Surg. 2004;91(12):1538–1548. Kato I, Kido C. Increased risk of death in Thorotrast-exposed patients during the late follow-up period. Jpn J Cancer Res. 1987;78(11):1187–1192. Kaul A, Muth H. Thorotrast kinetics and radiation dose. Radiat Environ Biophys. 1978;15(3):241–259. Wang L, Liu D, Shimizu T, Fukumoto M. Mechanisms of liver carcinogenesis by chronic exposure to alpha-particles form internally deposited Thorotrast. Int Congr Ser. 2005;1276:192–194. Kumagai S, Kurumatani N, Arimoto A, Ichihara G. Cholangiocarcinoma among offset colour proof-printing workers exposed to 1,2-dichloropropane and/or dichloromethane. Occup Environ Med. 2013;70(7):508–510. Lee BS, Park EC, Park SW, Nam CM, Roh J. Hepatitis B virus infection, diabetes mellitus, and their synergism for cholangiocarcinoma development: a case-control study in Korea. World J Gastroenterol. 2015;21(2):502–510. Leong TY-M, Wannakrairot P, Lee ES, Leong AS-Y. Pathology of cholangiocarcinoma. Curr Diagn Pathol. 2007;13(1):54–64. Khan SA, Davidson BR, Goldin RD, et al. Guidelines for the diagnosis and treatment of cholangiocarcinoma: an update. Gut. 2012;61(12):1657–1669. Seehawer M, Heinzmann F, D’Artista L, et al. Necroptosis microenvironment directs lineage commitment in liver cancer. Nature. 2018;562(7725):69–75. Fan B, Malato Y, Calvisi DF, et al. Cholangiocarcinomas can originate from hepatocytes in mice. J Clin Invest. 2012;122(8):2911–2915. Miller G, Socci ND, Dhall D, et al. Genome wide analysis and clinical correlation of chromosomal and transcriptional mutations in cancers of the biliary tract. J Exp Clin Cancer Res. 2009;28:62. Ruzzenente A, Fassan M, Conci S, et al. Cholangiocarcinoma heterogeneity revealed by multigene mutational profiling: clinical and prognostic relevance in surgically resected patients. Ann Surg Oncol. 2016;23(5):1699–1707. Chan-On W, Nairismägi ML, Ong CK, et al. Exome sequencing identifies distinct mutational patterns in liver fluke-related and non-infection-related bile duct cancers. Nat Genet. 2013;45(12):1474–1478. Gouveia MJ, Pakharukova MY, Laha T, et al. Infection with Opisthorchis felineus induces intraepithelial neoplasia of the biliary tract in a rodent model. Carcinogenesis. 2017;38(9):929–937. van Beers BE. Diagnosis of cholangiocarcinoma. HPB (Oxford). 2008;10(2):87–93. Sinakos E, Saenger AK, Keach J, Kim WR, Lindor KD. Many patients with primary sclerosing cholangitis and increased serum levels of carbohydrate antigen 19-9 do not have cholangiocarcinoma. Clin Gastroenterol Hepatol. 2011;9(5):434–439. Bridgewater J, Galle PR, Khan SA, et al. Guidelines for the diagnosis and management of intrahepatic cholangiocarcinoma. J Hepatol. 2014;60(6):1268–1289. Nakeeb A, Pitt HA, Sohn TA, et al. Cholangiocarcinoma. A spectrum of intrahepatic, perihilar, and distal tumors. Ann Surg. 1996;224(4):463–475. Furuse J, Okusaka T, Bridgewater J, et al. Lessons from the comparison of two randomized clinical trials using gemcitabine and cisplatin for advanced biliary tract cancer. Crit Rev Oncol Hematol. 2011;80(1):31–39. Luvira V, Nilprapha K, Bhudhisawasdi V, Pugkhem A, Chamadol N, Kamsa-Ard S. Cholangiocarcinoma patient outcome in northeastern Thailand: single-center prospective study. Asian Pac J Cancer Prev. 2016;17(1):401–406. Butthongkomvong K, Sirachainan E, Jhankumpha S, Kumdang S, Sukhontharot OU. Treatment outcome of palliative chemotherapy in inoperable cholangiocarcinoma in Thailand. Asian Pac J Cancer Prev. 2013;14(6):3565–3568. Gil E, Joh J-W, Park HC, Yu JI, Jung SH, Kim JM. Predictors and patterns of recurrence after curative liver resection in intrahepatic cholangiocarcinoma, for application of postoperative radiotherapy: a retrospective study. World J Surg Oncol. 2015;13(1):1. Lozada ME, Chaiteerakij R, Roberts LR. Screening for hepatocellular carcinoma and cholangiocarcinoma: can biomarkers replace imaging? Curr Hepatol Rep. 2015;14(2):128–138. Mahasarakarm O. 2007. An introduction to the Mekong fisheries of Thailand. Technical Report 5, Mekong River Commission, Vientiane, Lao PDR. Jongsuksuntigul P, Imsomboon T. Opisthorchiasis control in Thailand. Acta Trop. 2003;88(3):229–232. Khuntikeo N, Chamadol N, Yongvanit P, et al. Cohort profile: cholangiocarcinoma screening and care program (CASCAP). BMC Cancer. 2015;15:459. Pinlaor S, Sripa B, Sithithaworn P, Yongvanit P. Hepatobiliary changes, antibody response, and alteration of liver enzymes in hamsters re-infected with Opisthorchis viverrini. Exp Parasitol. 2004;108(1–2):32–39. Asavarut P, Norsworthy PJ, Cook J, Taylor-Robinson SD, Harrison RV. Diet and disease: transgressing boundaries between science and society—understanding neglected diseases through the lens of cultural studies and anthropology. Med Humanit. 2016;42(3):181–183. Chamadol N, Pairojkul C, Khuntikeo N, et al. Histological confirmation of periductal fibrosis from ultrasound diagnosis in cholangiocarcinoma patients. J Hepatobiliary Pancreat Sci. 2014;21(5):316–322. Wongkham S, Silsirivanit A. State of serum markers for detection of cholangiocarcinoma. Asian Pac J Cancer Prev. 2012;13(Suppl):17–27. Wishart DS. Emerging applications of metabolomics in drug discovery and precision medicine. Nat Rev Drug Discov. 2016;15(7):473–484.